Despite years of travelling in Portugal and further afield, I still hate packing. My husband Mike brags about his 5-minute packing process but it really is different for women. So many factors influence my decisions about shoes and clothes that it often takes me ages to work out what to pack, even though I’m far from fashion-conscious. I have, however, learned which basics you are likely to need when you travel in Portugal. In a bid to help both sexes bring the right things for any time of year, here’s my guide to packing for a trip to Portugal. Unless you’re very unlucky with the weather, you should get some bright sunshine even in winter. I always carry sunglasses in my handbag. 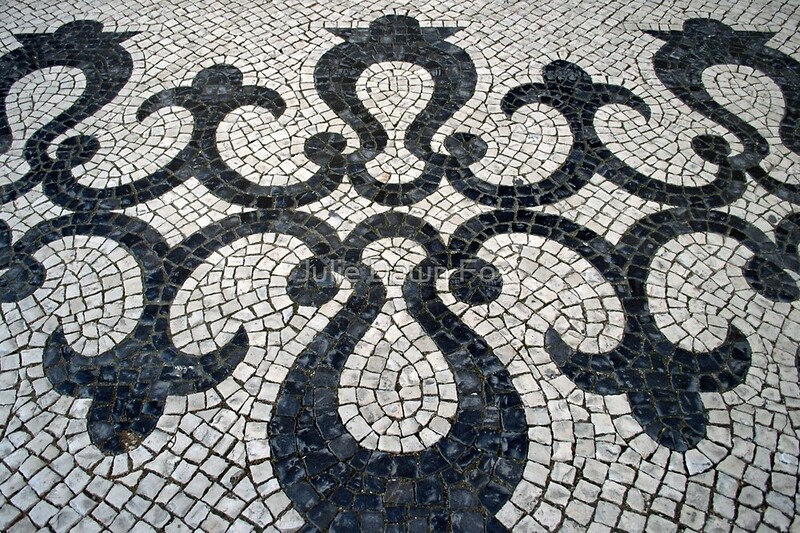 I know I sound like your mum now but seriously, you’ll thank me when you see Portugal’s cobbled pavements. They may be pretty but they’re a nightmare to walk on with heels because the spikes get stuck in the cracks between the stones and before you know it, you’ve twisted your ankle or worse. Even in flats, especially dress shoes, the smooth surface of the cobbles is uneven and very slippery when wet so aim for thick rubber soles for comfort and safety. Don’t say I didn’t warn you. Depending on the time of year, I’d bring a pair of stylish walking sandals, trainers/sneakers or flat, comfortable shoes/boots. Beautiful but treacherous Portuguese cobbled pavements. If you like this pattern, check out the available products in my gift shop. It’s a legal requirement to have ID on you at all times in Portugal, whether you live here or not. You won’t want to risk losing your passport on the beach or elsewhere so bring a photocopy to carry around with you and leave the original in a safe place. You’ve got 6 hours to produce the original if the authorities insist on seeing it. If you have photo ID in card form, carry that with you in a concealed money belt – see options here. Most shops accept Visa if not the full range of credit cards. Some restaurants and small establishments don’t take any cards so you will need to carry some cash (euros). There are plenty of ATMs in Portugal so you should have no trouble withdrawing extra cash from your bank account. I wouldn’t carry notes larger than 50 euros, simply because they aren’t used much in Portugal and will be treated with suspicion, and possibly contempt if you clear out someone’s supply of small change. Portugal uses standard European round two-pin plugs on electrical items which are 220-240V so bring electrical adapters with you if applicable. They will be harder to find away from major tourist destinations. 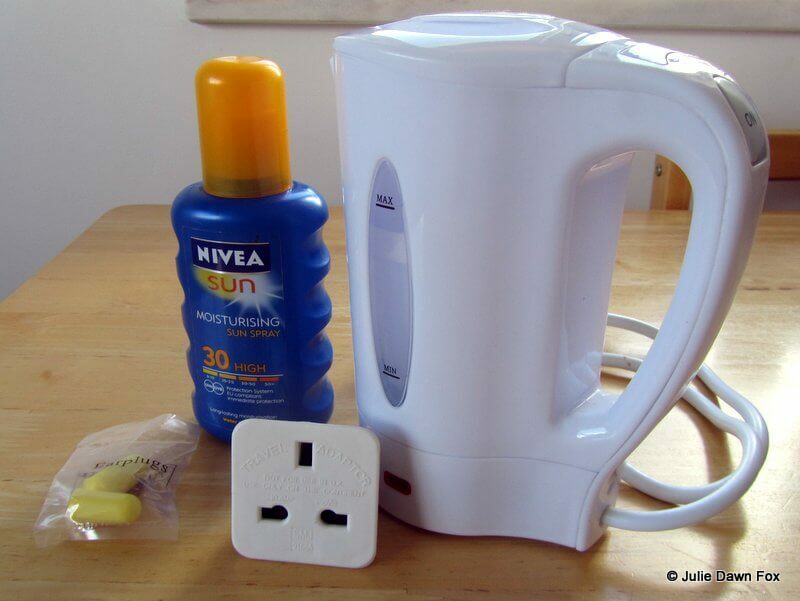 Some of the things you might want to bring with you when you come to Portugal. I always travel with foam noise-muffling ear plugs. I don’t always use them but they’ve saved my sanity when I’ve had rooms overlooking a noisy street. They aren’t always easy to find in Portugal so bring some with you if you’re a light sleeper. Foam earplugs vary in quality and effectiveness so do check reviews before you buy. You might find an eye mask helps to block out unwanted light, although blinds are usually quite effective. If you’re used to having tea and coffee making facilities in your hotel room, you should double-check whether your accommodation in Portugal supplies them. It’s not standard practice so you might need to bring a travel kettle like this nifty collapsible one, a travel mug and some tea bags. You can buy tea bags in Portugal but Brits will be unimpressed by them. If you plan to use a hotel’s indoor pool or their spa facilities, they will probably insist you use a swimming cap and flip-flops (chinelos). You can usually buy them on site but you might want to pop a pair in your case if there’s room. If you plan to visit any of Portugal’s river beaches, having a pair of swimming shoes or walking sandals that you’re willing to get wet may come in handy for getting in and out of the water. The river pebbles can be slippery and uneven. What you’ll need to bring obviously depends on where you’re going and when but don’t assume that just because Portugal is sunny for much of the year that it’s always hot and dry here. It’s not. Winters can get quite cold and wet and it’s often chilly enough for a light sweater on summer evenings. See my guide to how seasonal weather in Portugal might affect your trip. Thin layers are the key to adapting your wardrobe for the changeable weather, whatever the season. The north of Portugal is green for a reason so if you’re going there, it’s best to be prepared for rain showers, even in summer. Except for perhaps July and August, I carry a small, fold-up umbrella and sunglasses. If you’ve got fair skin and are likely to be spending much time outdoors, you should use sun cream, even in winter. The UV rays can be quite strong so I wouldn’t go for anything less than a factor 30 unless you are already quite dark-skinned or tan easily. Sun cream is relatively expensive in Portugal so unless you’re subject to hand luggage restrictions, it might be worth bringing some with you – stock up here. I always carry a lightweight scarfin my bag. They are handy for warming me up when faced with cold winds, icy air-conditioning, or on a summer evening outdoors. If it’s not too delicate, you can also use it to sit on in parks or at the beach. Choose one in a fairly neutral colour that matches the majority of your outfits and doesn’t crease easily. Summers are usually sweltering on the Portuguese mainland so loose, natural fibre lightweight clothes are ideal. Loose-fitting summer dresses, shorts and T-shirts with sandals are fine for most situations but you should dress reasonably modestly if you want to visit churches. This means covering your shoulders (a light scarf is handy for this) and no short shorts or skirts. Temperatures do vary at night so it’s best to bring a light sweater or cardigan for the evening. 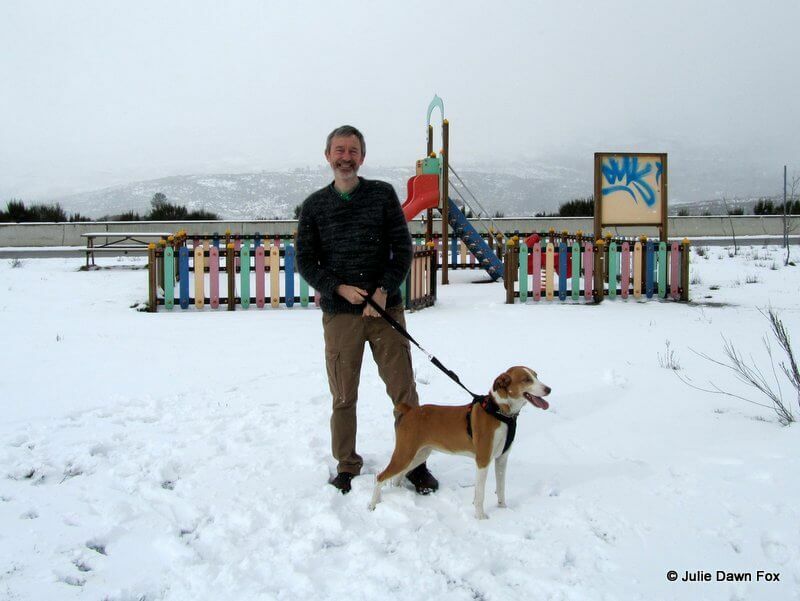 From March to October(ish) you don’t need heavy coats, in fact you probably won’t even need a jacket from June to September unless you’re in the north of Portugal, in the Azores or up a mountain. A lightweight waterproof jacket would come in handy then. Yes, it does get cold enough to warrant woolly hats, gloves, scarves and other warm clothes in Portugal in winter, especially up north or at altitude. It might be slightly warmer in the Algarve or the islands but locals will still be wrapped up snugly in jeans, boots and jackets so you might feel a bit silly, not to mention chilly, wearing your shorts in January. There may be some gorgeously sunny days but it’s unlikely to be warm enough for sandals, especially at night. Bring non-slip full shoes, trainers or boots. We stopped at a service station for an impromptu snowball fight and didn’t bother to put our coats on but we had the full winter gear in the car. Apart from July and August, or during a heatwave, it can get quite nippy in the evenings or on the beach so bring a couple of cardigans, shawls or sweaters for spring and early autumn. Comfortable trousers that travel well tend to be more practical and versatile than skirts when the weather is changeable. Late autumn and early spring, i.e. November through March/April, can be quite cold and wet so jeans and sweaters or fleeces are the way to go. My #1 Tip: Bring a range of thin layers so you can adjust your outfit to suit the temperature. This will also help you pack light. If you’re trying to fit everything into a carry-on bag, see these tips. And for general pro packing tips, check out this article. The beach at Figueira da Foz is quite cold in April. Although sandals were fine earlier in the day, by late afternoon, our feet were getting chilly. Getting dressed up – smart or casual? If you’re travelling to Portugal for work, it’s best to check with your company about appropriate dress codes although in most cases, smart casual/casual chic is fine. Generally speaking, I’ve found that although Portuguese people care about what they wear, their ‘look’ tends to be understated. You don’t need to dress up for a night out unless you want to or are going somewhere particularly swanky. That’s not to say you should stroll into restaurants in your beach gear (unless it is a beach bar) but smart casual will be fine for most situations. 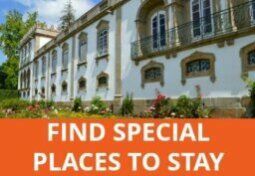 As for Portuguese phrasebooks, the Lonely Planet Portuguese Phrasebook & Dictionary has sections on eating and drinking as well as all the functional language you’ll need and help with pronunciation. Check out my Portugal itinerary support services. 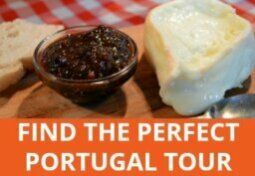 Subscribe to download my free handy checklist to help you pack wisely for your Portugal trip, whatever the season. 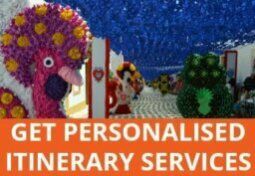 You'll also receive email newsletters containing free insider travel tips, blog updates and information about relevant products, services and special offers. Nearly done! Please check your email to confirm your request and download your free packing checklist. If you can't see my email, please check it hasn't slipped into your spam folder. 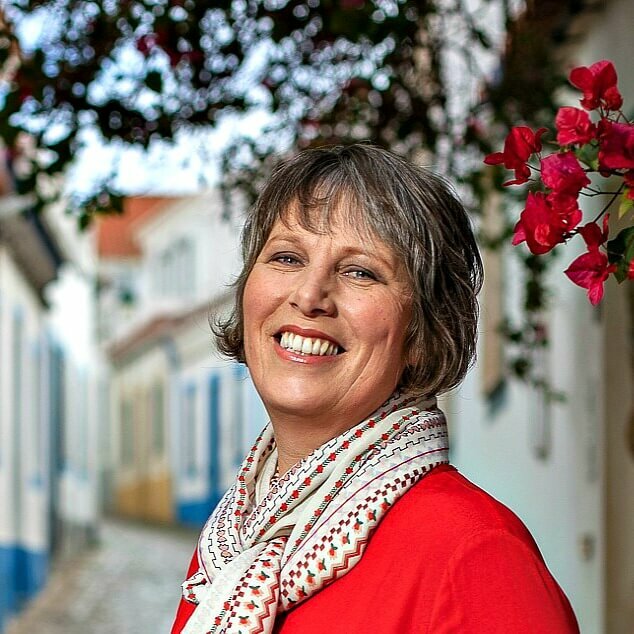 Previous Post: How Was Your Trip To Portugal, Lauren David? 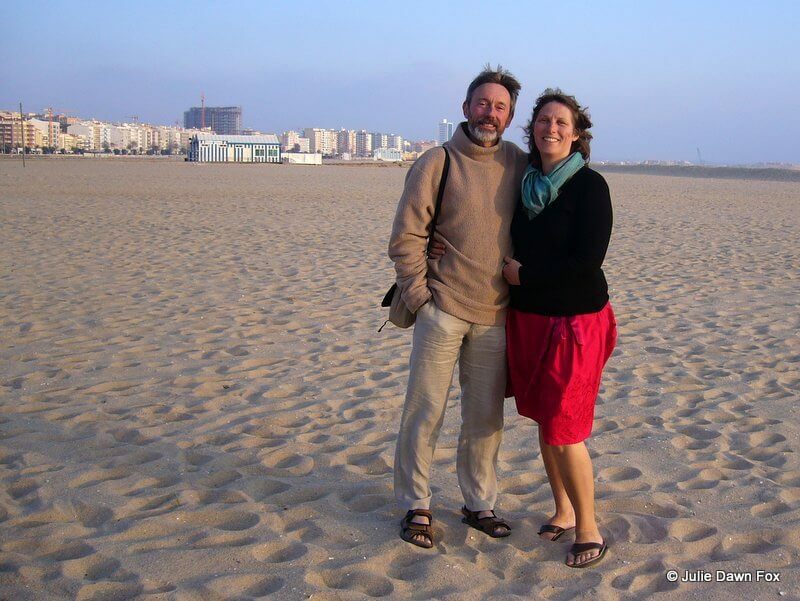 Next Post: How Was Your Trip To Portugal, Nienke Krook? Are you discouraging all skirts or just short skirts? Only very short skirts in churches, although some people go in whatever they’re wearing. I would feel uncomfortable. Hi Sue, Make sure your accommodation and car have air conditioning and avoid walking around in the afternoons – if you’re planning on doing much sightseeing, try to be in air-conditioned museums or cool churches etc in the heat of the day. You’ll presumably be using sun block and wearing a hat. Carry a fan with you and make use or air-conditioned venues for eating and drinking if it’s too hot for you. Can you tell me how cold it is likely to get overnight if sleeping in a tent in rural Portugal in June? No. It really depends on the weather at the time. Could be cool enough to sleep comfortably with just a sheet, too hot even for that or colder. Come prepared to be flexible and armed with insect repellent. You won’t need a thick sleeping bag though, unless it’s unseasonably cold.